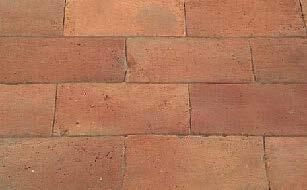 All of our handmade terracotta tiles and bricks are salvaged from farmhouses, churches and outbuildings from across Central Europe and are dated 100 – 200 years old i.e. from the Habsburg era. The extraordinary warm colours, the beautiful hues and variations, the hand crafted shapes, all define the essence and rustic charm of these rare and unique tiles. These tiles make for a truly unique floor that can’t be replicated with new tiles. Easy to maintain, these reclaimed tiles make the perfect choice as wear and tear will only beautify these reclaimed floor tiles and they will continue to age in your home. They are delivered power washed and in packs of 45m2. Note, the colour of each individual tile across the collections will vary subtly, reflecting its unique history and the nature of a hand crafted creation. As with all reclaimed materials, there will be a subtle variation in colour across the collections adding to their enduring appeal and character. Contact us for details on dimensions. 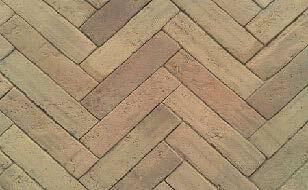 At French Oak Trading Co we are careful to ensure that the reclaimed tiles and bricks we use are genuine and have been responsibly sourced. As such, we only buy tiles and bricks from licensed and authorised demolition contractors, who are able to supply a quality product.